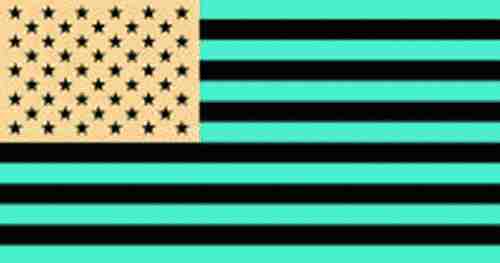 If you stare at this image for 30 seconds then immediately look at something white you will see the US flag. This illusion is a perfect example of after imaging. This relates to the opponent process theory which states that our ability to perceive color is controlled by three receptor complexes with opposing actions. These three receptors complexes are the red-green complex, the blue-yellow complex, and the black-white complex. According to the opponent process theory, these cells can only detect the presence of one color at a time because the two colors oppose one another. You do not see greenish-red because the opponent cells can only detect one of these colors at a time.The two elements of thought this relates to is point of view and concepts.